No pull dog harness is the favorite tool of dog trainers as a pro dog harness and of dog handlers, as a comfy dog walking harness for mastiff. Stop dog pulling is the question bothering many dog owners. 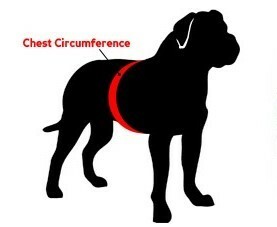 That's why we produce this no pull dog harness in a rich choice of sizes for puppies and adult dogs of big mastiff breeds. 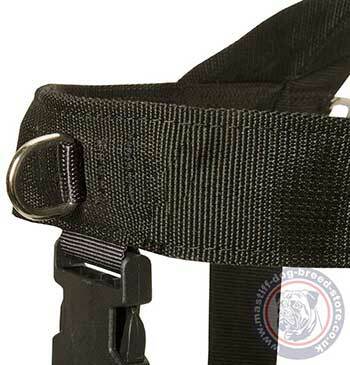 The size of the no pull dog harness is regulated by buckles on the straps. Thus, you may use it while your dog is growing. Do not forget to fill in dog's age and our specilists will advice the best option of size. 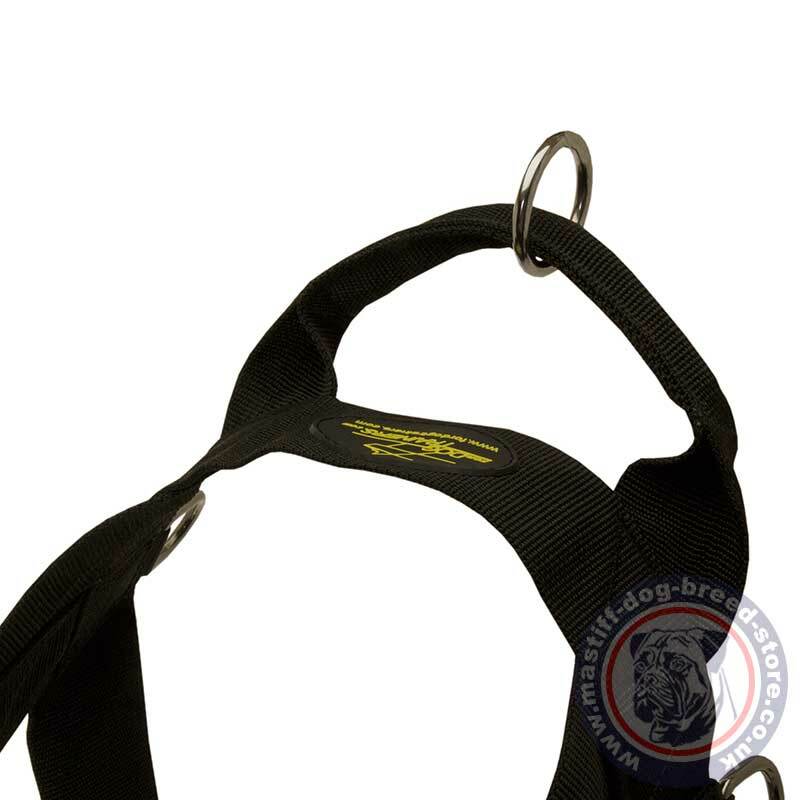 So, how does a simple harness design helps to stop dog pulling and make dog walking more pleasant, controlled and comfortable? 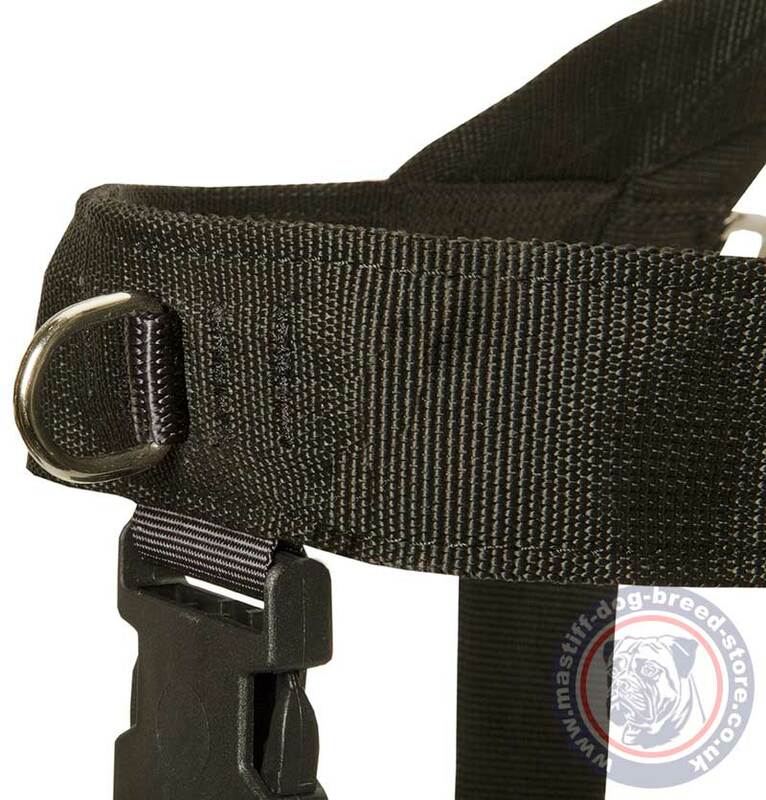 There is a D ring at the front strap. Attach the dog lead to it and it will drive a dog aside each time it will try pulling ahead. 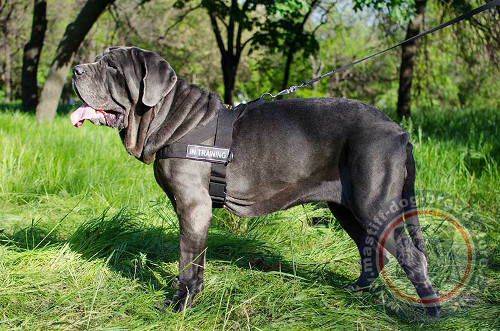 For a better handling of mastiff temperament there is a handle at the back of the pro dog harness. 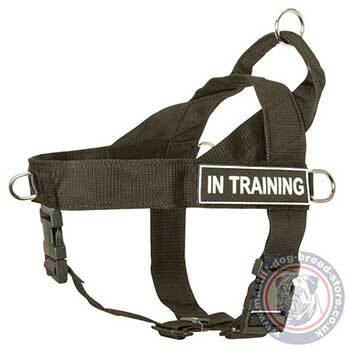 Choose sign patches for a pro dog harness from the list of available ones. 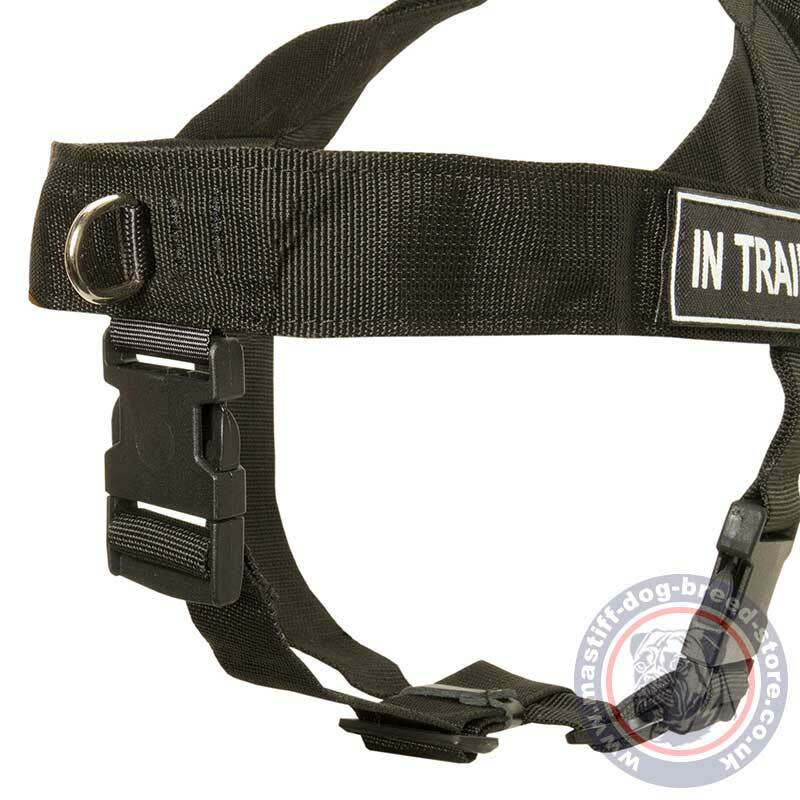 Try the best pro dog harness for reliable control. Thank you for the harness ordered on the 14th and delivered on 17th, cannot believe how fast it came, been trying out the harness for the last couple of days absolutely brilliant piece of equipment. To say our dog 9 months old from a Rescue had never been walked he is doing extremely well - I would recommend this harness to anybody. Many thanks.